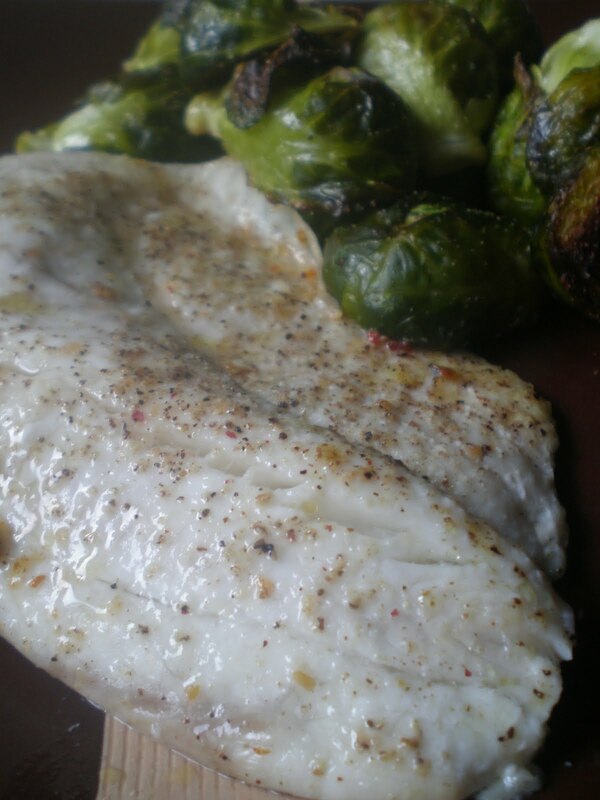 I always laugh at myself when I rave about how good a fish recipe tastes. I used to loathe fish. Seriously, I would gag at the smell of it. I know, a complete over-share on that one, but I'm all about honesty, people! My husband and I are trying to incorporate more fish into our weekly menus. The health benefits of eating fish are grand, so we're trying to get those omega-3 fatty acids and cut out the saturated fat. Two points for healthy food! Anyway, this tilapia recipe will be made again and again. Fish is so easy to prepare, and this recipe hardly has any clean-up involved. I love that. Preheat oven to 400 degrees. Place fillets in a square baking dish coated with cooking spray. Drizzle fillets with olive oil, followed by lemon juice. Sprinkle with seasoned salt, pepper and garlic powder. Bake for 15 minutes, or until fish is opaque and flakes easily with a fork. I love fish as well, mainly because it's SO easy to prepare! Chicken can be risky sometimes if it gets too rubbery but fish never seems to fail! This looks so good - especially with the Brussels sprouts! Thanks for sharing! So simple, yet so tasty!